Based on the IATA Pool fuel quality control inspection (IFQP) results Aerofuels-Perm refueling complex (a member of Aerofuels Group) was granted a highest status of refueling operations safety level: Green. The commission opinion points out that this fact will be duly appreciated by Group of companies Aerofuels customers – airlines, participants of IFQP. TZK Aerofuels-Perm current inspection was not held for the first time and its main goal was evaluation of status of fuel handling facilities and equipment maintaining, as well as aviation fuel supply procedures in the airport. Inspectors marked in the report that renovation of fuel handling facilities and key elements of aviation fuel supply performed in 2013-2014 makes it possible to provide an appropriate level of safety and to influence refueling operations efficiency. Since August 2014 a new Aerofuels refueling complex has been operating in the airport of Yuzhno-Sakhalinsk. Aviation fuels depot conforms to all necessary modern standards and requirements providing high level of quality of jet kero loading and storage and further delivery to a refueler. TZK has its own modern laboratory of aviation fuels quality control. Four newest refuelers were obtained to provide aircrafts fast and careful into-plane refueling. The company has all necessary certificates and licenses. Investments into the new TZK made more than 200 million rubles. Since August 01st the refueling complex “OOO Aerofuels Kamchatka - Yuzhno-Sakhalinsk” began to supply fuel to regular flights of civil aviation. The first customers were S7 airlines (Siberia) and Gaspromavia. On August 06th the authorized representatives of S7 (Siberia) airline performed auditing of “OOO Aerofuels Kamchatka - Yuzhno-Sakhalinsk” refueling complex and ramp services in the airline aircraft refueling by the new TZK resources. The audit aim is a primary control of fuel supply service quality. The audit criteria are on-land servicing, the Federal aviation requirements, standards and recommendations of IATA, IOSA. According to the auditing results a positive opinion about “OOO Aerofuels Kamchatka - Yuzhno-Sakhalinsk” conformance to aviation fuel supply requirements of “Siberia Airline OAO” was received. The largest Russian company Aerofuels Group is going to invest more than 500 million rubles into the Penza airport infrastructure improvement. That was declared by the company General Director Vladimir Spiridonov in the course of the meeting with the region Governor Vasiliy Bochkarev. The negotiations were held in the regional Government office on Thursday, August 28th, 2014. As Vladimir Spiridonov said, the company is ready to commence implementation of the passenger terminal reconstruction project in September, 2014. «That deals with creation of a new passenger terminal for domestic and international service. At the first stage investments volume will make about 500 million rubles. The project implementation time will not be more than 2 and a half years», - Vladimir Spiridonov said. He also pointed out that the company investment project provides construction of a refueling complex. As Vladimir Spiridonov marked TZK construction would allow reduction of petroleum, oil and lubricants cost, and, consequently, air-tickets price. In his turn, the Governor Vasiliy Bochkarev pointed out the significance and necessity of the international terminal construction project to expand social and economic relations of the region with foreign countries. «The airport needs reconstruction. Your project of a new passenger air terminal construction is in high demand in the region. The international terminal will make it possible to expand cooperation of the region with foreign countries. Now we have to admit the fact that the terminal non-availability is a constraining factor of the international cooperation », - Vasiliy Bochkarev said. The Governor also marked that parties beneficial cooperation protocol could be signed even that evening, on August 28th, 2014. The airport of Kurgan administration would like to enlarge a passenger flow by means of international flights servicing. The management estimates to prepare the required documentation by the end of the next year. The only thing left is to persuade the Russian Border Service Agency into financing the checkpoint arrangement. The airport of Kurgan administration prognoses to prepare and submit the documents required for the border checkpoint opening to the Russian Border Service Agency by the end of 2015. The corresponding timeframe is indicated in the project Roadmap. The administration representatives hope that the innovation will significantly enlarge a passenger flow. The region authorities thus hope to attract additional investments into the region. Now the matter depends on the authorities’ decisiveness: experience says that such projects cost hundreds of millions of rubles in spite of the fact that airports investors spend their own money in the preparatory work, space allotment and the process arrangement. Roadmap of the Kurgan airport growth developed by the region administration was submitted to Alexey Kokorin, temporarily in charge of the region governor. At the same time a special operating group to supervise over the project was formed in Kurgan. The work has already started, the region authorities have sent all necessary requests to the responsible agencies and the specialists have made calculations upon the passenger flow in the region. In accordance with the document by the 01st of September the project will have been included into the region social economic development strategy. Then specialists of the region economic development department and the Aerofuels investment company will have to make the detailed economic calculations and to formalize substantiation of necessity to open the border checkpoint. In the fourth quarter of the next year it is planned to prepare and to send the checkpoint arrangement proposal to the Russian Border Service Agency. And then the most interesting things will start. Refueling complex in the airport of Perm conforms to all necessary requirements of the Federal Air Transport Agency. TZK Aerofuels Perm prolonged the certificate of conformity for three years. Refueling complex Aerofuels Perm prolonged an overall certificate of conformity on aviation kerosene acceptance and storage and aircrafts refueling in Bol’shoye Savino airport. Aviation fuels quality laboratory also had got the certificate renewal. TZK Aerofuels Perm is included in the network of 19 refueling complexes owned by Aerofuels Group. The company has been operating for more than 13 years and makes a successful example of an alternative complex on the territory of one of the largest regional air hubs of Russia – International airport of Perm. Attractive price conditions and high quality of refueling service of TZK Aerofuels Perm make it possible to serve flights of the leading Russian air carriers and international airlines as well. In 2013 Bol’shoye Savino airport offered services to more than 1,15 mln passengers and it keeps progressing dynamically. Availability of the second refueling complex in the airport helps airlines to use competition in the aviation fuel supply market in favor of their expenses reduction, as well as to obtain a more high-quality refueling service. Total program of investments into refuelers fleet in 2014 will make 180 mln rubles. Within the frameworks of the program to equip the refueling complexes with modern machinery the Group of Companies Aerofuels received the first of three shipments of aerodrome refuelers based on the latest model of Volvo truck tractor from the Russian manufacturers. The supplied refueling equipment obtains a variety of preferential characteristics making possible to provide aviation fuel supply to the aircraft in the airports in compliance with IATA standards and the requirements of Airbus and Boing manufacturers, as well as the Russian aviation industry. «Every year our company invests significant funds into refuelers fleet updating and resupply in the Aerofuels TZK network. Today in nineteen Russian airports approximately 80 refuelers are able to offer an into-plane refueling service. This year their amount will grow», said Vladimir Spiridonov, Aerofuels Group General Director. «Modern airdrome refuelers are not only advantageous aviation fuel suppliers but they are also much timesaving in plane servicing due to a double quick into-plane fuel supply, which can significantly effect on time spent by the aircraft in the airport, the aircraft turnaround and, consequently, helps airlines to obtain business effect out of the plane employment», he added. The first shipment of refuelers will be sent to TZK of the Volga and Far East regions. June 24th, AEX.RU – On June 24th the Group of Companies Aerofuels and the Kurgan Region authorities signed an agreement on construction of the state border entry point in the airport of Kurgan. The documents were signed by Alexey Kokorin, temporarily in charge governor of the region, and Vladimir Spiridonov, Aerofuels Group General Director. It should be recalled that yesterday at the Kurgan Region authorities meeting an agreement on arrangement of the international entry point in the region was agreed upon with Aerofuels Group Ltd. Igor Ksenofontov, the Kurgan Region deputy governor in investments, international economic activity and inter-regional relations, informed in the course of the meeting that the agreement dealt with cooperation within the frameworks of the Russian Federation state border crossing checkpoint launching in the airport of the city of Kurgan. «It is a significant event for the Kurgan Region today. We are signing the agreement on cooperation within the frameworks of the public - private partnership in the border crossing checkpoint arrangement. This means that in the future we will get the status of the international airport, which will significantly expand traffic ranges not only of our city but the region as well. Besides, that will improve investment attractiveness of our region for foreign investors», said Alexey Kokorin during a signing ceremony. Besides, as he pointed out, to get the status of the international airport means that the Kurgan tourists, when travelling abroad, will not have to get to some nearest international airports (Ekaterinburg, Chelyabinsk) any more. Investments in the border entry point will initially make about 100 mln rubles. Division of the Russian Federation Pension fund of the Ulyanovsk area has held the annual All-Russia competition “The best insured” as on the results of 2013. On May 26th, at 9.00 the best insured of the region – the winners will be awarded. More than 350 employers of the Ulyanovsk area paying insurance contributions for compulsory pension insurance and compulsory medical insurance took part in the competition, 16 of them having become the winners. The basic criteria to choose the winner were on-time payment of the insurance fees to the pension system, on-time submission of the documents for individual record-keeping and insurance contributions settlement, registration in the system of the compulsory pension insurance of all employees, average amount of payments and other rewards made by the employers to their employees above the amount of average salary in the Ulyanovsk area in 2013. The refueling complex TZK Irkutsk (a member of Aerofuels Group of Companies) prolonged their certificate of conformity to control quality of the aviation fuels supplied to aircrafts in the airport of Irkutsk. The certificate is issued by Federal Air Transport Agency and registered in the Certification System of the RF Civil Aviation on April 29th, 2014. The period of validity is 3 years with the right of further prolongation. The laboratory has been working in the airport of Irkutsk since 2008, and it offers a full service in aviation kero TC-1, PT and special fluids quality control. Today Aerofuels Group manages the network of 13 aviation fuels quality control laboratories located over the whole country – from Pskov to Petropavlovsk-Kamchatsky. In 2014 the company plans to expand the network by building three more laboratories in the Central and North-Western Federal districts, as well as in the Far East. Investments volume will come to about 25 million rubles. On the 6th of May the Russian Federation Government issued a resolution on an action plan establishment to develop competition in the field of services rendered in the airports. The action plan provides a number of measures aimed at competition development including aviation fuel supply. In particular, beginning from 2014 the Federal Anti-monopoly Service, the Ministry of Economic Development and Trade and the Ministry of Transport of Russia shall monitor application of the Rules of access to natural monopoly entities’ services availability, which was established by the Russian Federation Government resolution No.599 of July 22nd, 2009. Basing on the monitoring a further development of competition in the services markets in the airports shall be suggested. This measure will make it possible to improve the system of the state regulation of the natural monopoly entities’ services in the airports, will simplify and speed up the procedure of refueling complex withdrawal from the natural monopoly entity status provided the competitive environment is being developed in the relevant product market. An alternative refueling station started to operate in Domodedovo airport, Moscow. 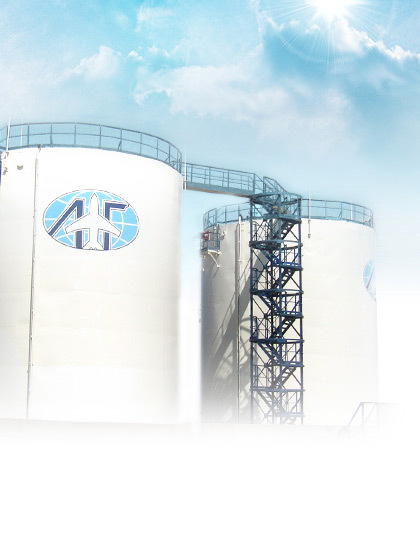 It has got complete set of certificates of conformity for aviation kerosene acceptance, storage and distribution, as well as into-plane refueling service. This refueling complex operator is the joint venture “Shell& Aerofuels”. The alternative refueling complex launch in Domodedovo is a remarkable event in the field of passenger service: competitive environment in the aviation fuel market makes price conditions favorable for companies-consumers. At present, there are two refueling operators in Domodedovo – Domodedovo Fuels Services and Shell&Aerofuels company. Group of companies Aerofuels is about to complete construction of an alternative refueling complex in Nizhny Novgorod airport and is getting ready to put it into operation. That will be the newest refueling complex with a capacity of 10900 m3 accommodating a block of administrative buildings and constructions, fuel loading depot, its own access railroad and loading rack for 6 rail tank cars. Total amount of investments will come to more than 500 mln.rubles. Payback period of the investment program is 5 years. Group of companies Aerofuels plans to deliver 10 more refuelers to their refueling complexes in 2014. Investments amount will constitute more than 180 mln.rubles. Group of companies Aerofuels pays much attention to high quality standards of aircrafts refueling and continues to provide the Russian airports with up-to-date refuelling equipment by enlarging and renovating aerodrome refuelers fleet at the company refueling complexes. In the first quarter of 2014, refueling complex of Kirov airport received another new refueler. Modern refuelers satisfy all Russian and international requirements for aircraft refuel. Generally, in 2014 Aerofuels plans to add 10 new aerodrome refuelers to their refueling complex chain with investments amount of more than 180 mln. rubles. Orders are being placed at the Russian manufacturers’ which products have showen good results in different operating and climatic environment in the Russian airports. All refuelers are equipped with reliable components of both local and foreign manufacture. Last week-end in Dynamo in Krylatskoye Palace of Sports the 9th International mini-football tournament “The Day of the Civil Aviation” took place. 20 teams representing air lines, airports, federal air entities and air industry took part in the Tournament. Aerofuels team (champion of 2011) took the second place having yielded to the Ural air line team in the final match, and the third place won Transaero Airlines (champion of 2012). Aerofuels football players have been consistently making the top three and take the second and third places, and in 2011 they won the championship. The present tournament was held within the framework of aviators’ Avia League sporting movement formed with support of the RF Ministry of Transport and the RF Federal Agency of Air Transport. Kurgan Airport JSC prepared two cultural events at a time devoted to the Civil Aviation Day for the citizens and guests of the city. A photographic exhibition “The airport life as viewed by aviation enthusiasts” launched in the airport building. For two years on end spotting for photographers – devotees of sky and aviation has been holding to represent the airport everyday work and life captured in pictures. In the pictures the airport appeared in a quite amazing images and colours which usually are not noticed in a routine way of life, but which were truly noted by the authors. Not only professional photographers but amateur ones from Kurgan, Tyumen and Moscow exhibited their pictures there. It is worth mentioning that the airport as an exhibition space is used in Kurgan for the first time. Today such kind of exhibitions becomes quite popular with a number of the Russian and European airports. The exhibition is open daily and admission is free (Kurgan airport, 41 Gagarin street).